Fashion refers to the symbolic, aesthetic, and cultural meanings that objects carry, especially the ways in which people use objects to express their taste, lifestyle, social status and belonging to a community. Importantly, fashion can drive unsustainable consumption of digital technologies, as it can motivate the practice of discarding perfectly working devices in favor of newer ones without significant gains in utility. As a starting point, this paper considers a compelling idea concerning fashion and sustainable HCI: rather than attempt to thwart people’s propensity to want things for reasons of fashion or to exhort people not to engage in fashion-related practices, instead utilize a deeper understanding of the complexities of fashion to design interactive technology products and services using dimensions of fashion that are most compatible with sustainability. Our ultimate vision is to provide theoretical frameworks that allow human-centered computing designers to use fashion as a positive force for sustainable design. Towards this end, this paper first draws on a breadth of social theory to conceptualize fashion and its relationship to digital consumption and sustainability. Second, this paper presents a set of interviews with consumers to provide a deeper understanding of the role fashion in everyday IT consumption practices. From these interviews, we provide an inventory of design insights to serve as speculative design principles. We conclude by inviting designers and HCI researchers to think differently about the role of fashion which, given enough thoughtfulness, may actually serve as a potential catalyst to sustainability rather than to un-sustainability. Keywords – Design, Fashion Consumption, Sustainability, Technology. Relevance to Design Practice – This paper provides new insights to re-conceptualize the role of fashion in design and proposes new means of embedding fashion into design practice to promote sustainability. Citation: Pan, Y., Roedl, D., Thomas, J. C., & Blevis, E. (2015). Fashion thinking: Fashion practices and sustainable interaction design. International Journal of Design, 9(1), 53-66. Received January 10, 2013; Accepted June 8, 2014; Published April 30, 2015. Copyright: ©2015 Pan, Roedl, Thomas and Blevis. Copyright for this article is retained by the authors, with first publication rights granted to the International Journal of Design. All journal content, except where otherwise noted, is licensed under a Creative Commons Attribution-NonCommercial-NoDerivs 2.5 License. By virtue of their appearance in this open-access journal, articles are free to use, with proper attribution, in educational and other non-commercial settings. Yue Pan is a design researcher with an interest in fashion, sustainability, HCI and design. She has recently graduated from Indiana University Bloomington with a doctoral degree in School of Informatics HCI/d program. Her dissertation addresses the role of fashion (not clothing) in affecting people’s consumption attitudes and behaviors in their daily lives and provides mechanisms that allow designers to use fashion as a positive force to promote sustainability, especially in the context of HCI and interaction design. She has more than five years experiences in conducting qualitative user research and is proficient in a variety of user research methods and design methods. She will join Citrix as a design researcher in the fall of 2014. David Roedl is a PhD candidate of the Human-Computer Interaction Design program in the School of Informatics and Computing at Indiana University. His research involves studying the design of everyday technology and its effects on culture and the environment. His current work explores creative cultures of DIY repair and reuse and their potential to resist designed obsolescence. Previously, he has studied and designed software for promoting residential energy efficiency. Eli Blevis is an Associate Professor of Informatics in the Human-Computer Interaction Design (HCI/d) program of the School of Informatics and Computing at Indiana University, Bloomington, where he also directs the HCI/d program. He is also a Visiting Professor at the Hong Kong Polytechnic School of Design. His primary area of scholarship, and the one for which he is best known, is sustainable interaction design. This area of scholarship and his core expertise are situated within the confluence of human-computer interaction as it owes to the computing and cognitive and ethnographic sciences, and design as it owes to the reflection of design criticism and the practice of critical design. His scholarship also engages design theory, digital imagery and visual thinking, and design learning. John C. Thomas received his PhD in experimental psychology from the University of Michigan and managed a research project at Harvard Medical School on the psychology of aging. He joined IBM Research, where he worked in human-computer interaction for a dozen years, including a stint at IBM CHQ, where he spearheaded efforts to improve IBM’s user experience. He left IBM to start the Artificial Intelligence Lab at NYNEX, where he served as Executive Director for twelve years. In 1998, he rejoined IBM Research to work in knowledge management and human-computer interaction. For several years, he managed a group on the business uses of stories and storytelling. He has over 250 invited presentations and publications in the fields of AI, HCI, and psychology. John currently works as a consultant in strategic innovation and customer experience. Broadly defined, “fashion” refers to the symbolic, aesthetic, and cultural meanings that objects carry, especially the ways in which people use objects to express their taste, lifestyle, social status and belonging to a community. We don’t ordinarily think of fashion as a positive force for sustainable practices in the design of products and services. One imagines that fashion drives consumption and premature obsolescence at the expense of efficient use of resources. At the same time, fashion exists in various aspects of our lives and plays an essential role in shaping consumption practices (Sassatelli, 2007). Also, fashion-oriented design encourages ingenuity, imagination and innovation (Walker, 2006), which are crucial elements in pushing forward technological and social progress. In this paper, we ask a design research question about whether it is possible to re-conceptualize fashion so as to help designers make sustainable practices natural and fashionable. In other words, is it possible to embrace fashion as a fundamentally human predisposition in a way that is also in harmony with the need to ensure a sustainable future? To drill down into some of the specific questions underneath this large area of inquiry we ask: How does the notion of fashion affect consumption practices, especially with respect to devices and energy-intensive services made especially with respect to information technology devices and serves that are resource-intensive or use scarce materials? Is there a way to embed fashion into design to facilitate and promote sustainable practices, generally? Is there a way to incentivize businesses and policymakers to create business models or policy so as to target fashion demand for sustainable rather than unsustainable consumption, especially the consumption of products and services in which HCI and interaction design are implicated? Our interests are in the arenas of fashion, sustainability, and HCI. Specifically, we are interested in understanding ultimate particular acts within the everyday practices of individuals in relation to the things they treasure. We are interested in multiple levels of this relationship, including affect, form and function. By ultimate particular acts, we refer to Nelson and Stolterman’s (2000) notion of design’s concern for the “ultimate particular” rather than the general. Moreover, our goal is to imagine if and how each ultimate particular act could become fashionable to a larger community, as a means of promoting more sustainable practices. We approach this goal by examining everyday consumption practices in order to understand the complexity of fashion and how fashion functions in everyday life; we do not focus on fashion in the sense of quantitatively assessing the popularity of current trends or understanding how marketers predict or control fashion trends. In the context of the everyday, “fashion” is much more than what is called the fashion industry, which deals with apparel, although that is a substantial part of the global economy (Black & Eckert, 2009). It can also include categories such as luxury items, cosmetics, bottled water, as well as aspects of furniture, housing, and automobiles, for example, that are not strictly aimed at satisfying actual physical needs but are aimed at social signaling. Through interviews described in this paper, we begin to examine the role of fashion in choosing personal electronic communication devices. Given that fashion is a relatively new topic in HCI, we also draw upon diverse fields such as sociology, anthropology, cultural studies and social practice theory. This work provides an initial background for interpreting our interviews and for our efforts to conceptualize fashion and its relationship to digital consumption and sustainability. The general program of study guiding this paper is the hypothesis that fashion might be reconceptualized as a force for sustainability, rather than unsustainability. This paper does not fully resolve this hypothesis, as it is a topic that requires longitudinal research and thought and design. The paper narrows its scope by focusing on interviews and methods used in socio-cultural studies to investigate three specific themes that are soundly—but not completely—derived from literature, interviews, and our intuitions about where to look first. These three themes are: Newness versus patina; conspicuous consumption versus functionality; and imitation versus personal style. These themes run through our account of the literature and guide our interpretations of the interview data. Considerable literature exists concerning sustainability in HCI, beginning with Blevis (2007) and nicely summarized in a bibliometric/genre study in DiSalvo, Sengers, & Brynjarsdottir (2010). Here we present relevant existing literature in terms of five areas for consideration: digital consumption and sustainability; fashion in HCI; fashion and consumption in social theory; social practice theory and fashion; and design, fashion, and sustainability. This paper adds to an existing body of research that addresses practices related to the consumption of digital technology and their implications for sustainability. Relevant prior studies include: Hanks, Odom, Roedl, & Blevis (2008), which presents a survey of millennial attitudes and behaviors; Huang & Truong (2008) which reports on practices of mobile phone consumption; Huh, Nam, & Sharma (2010), which studied reuse of PDAs; Pierce & Paulos (2010), which studied practices of reacquisition of domestic objects; and Wakkary & Tanenbaum (2009), which studied the creative design-in-use of technology. Blevis et al. (2007) present design criticism regarding issues of sustainability and luxury, a notion that is related to fashion but more limited in scope. All of these studies have contributed important insights towards understanding existing patterns of digital consumption, as well as revealing opportunities for designers to achieve more sustainable outcomes, such as reuse. Several prior works have focused on the goal of extending the lifetime of digital technologies by strengthening users’ emotional attachment (Blevis & Stolterman, 2007; Jung, Bardzell, Blevis, Pierce, & Stolterman, 2011; Odom, Pierce, Blevis & Stolterman, 2009). For example, Odom et al. (2009) draw on Verbeek (2005) to examine the interplay of functionality, symbolism, and material aesthetics in developing durable human-product relationships. Whereas Verbeek and Odom et al. tend to emphasize the importance of materiality in achieving durability, our interest in fashion is more closely related to product symbolic qualities, in particular the ways that products are used to express identity and lifestyle. Odom et al. mention some positive ways that objects act as symbols, such as representing sentimental value developed over time or values of personal identity, such as self-sufficiency. Woodruff, Hasbrouck, and Augustin (2008) discuss ways that environmentally-oriented individuals seek to express their “green” identity through certain modifications to their home and purchases of material possessions. Our interest is to examine in depth the roles that symbolic qualities currently play in consumption of digital technology, in order to imagine ways that designers might positively leverage fashion in promoting sustainability. Fashion does exist in the HCI literature, especially in the context of virtual worlds (Bardzell, Pace, & Terrell, 2010) and also as a textiles- and sensors-oriented basis for embedding interactive technologies as a material of interaction design (e.g., Quinn (2010); Rosner and Ryokai (2009); Seymour (2008)). Recently, there has been growing research on the relationship between mobile technology and fashion (e.g., Fortunati (2005)). Based on a survey study of mobile phone use by college students in the United States and Japan, Katz and Sugiyama (2006) explore the role of fashion and argue that teenagers use mobile phones as fashion objects and as a means of personal expression. Such social aspects of fashion have also been adopted and adapted by designers to enhance mobile user experiences (Pawlowski, 2008). As a matter of strategy, mobile phone companies attempt to take advantage of branding effects to make their products more fashionable (Jang 2006). Researchers have also looked into online fashion blogs and online fashion magazines with the purpose of understanding the usage of mobile phones (Julin & Zhang, 2010). A rich body of research is concerned with aesthetic aspects of HCI (Bardzell, 2009; Hallnäs & Redström, 2002; Petersen, Hallnäs, & Jacob, 2008; Quinn & Tran, 2010). Wilson argues in her book, Adorned in Dreams (2003), that fashion is a form of visual art that plays an important role in the evolution of the aesthetics of styles. Kawamura has argued a similar point in her book, Fashion-ology: An Introduction to Fashion Studies (2005), noting that to a large extent our perception of beauty is shaped by fashion. Juhlin and Zhang (2011) also argue that aesthetics as visual expression is part of HCI. This research is related to fashion in HCI, but is not specifically directly related to our concern for how fashion is implicated in sustainable HCI. Current research in sustainable HCI has started to take its cues from other disciplines, as noted by Huang (2011). These disciplines include politics and environmental psychology (Froehlich, Findlater, & Landay 2010), behavioral psychology in energy use (He, Greenberg, & Huang, 2010), social-economic factors in home-energy consumption (Dillahunt & Mankoff, 2011; Rodgers, Bartram, & Woodbury, 2010), interactive art targeted at raising awareness of the possibility of sustainable consumption and other environmental issues (Holmes, 2007), to name a few. The issue of transdisciplinary thinking in HCI has also been taken up by Blevis & Stolterman (2009). In re-conceptualizing fashion in sustainable HCI, it is also necessary to look outside of HCI to disciplines that have already studied the impact of fashion on the marketplace and human behaviors. In the following section, we draw on theory from sociology, anthropology, and cultural studies to enrich our understanding of the influence of fashion on consumption. Fashion has been a research target in social science, cultural studies and marketing research, aiming to understand the cultural, personal, and social aspect of fashion in influencing consumer behaviors, mostly in the context of clothing and apparel accessories (Benjamin & Tiedemann, 1999; Simmel, 1957). Earlier fashion theories focused on examining the trickle-down process of fashion in the clothing industry, and considered fashion as a desire for social inclusion and differentiation. This approach has been presented in Bourdieu (1984), Simmel, (1957) and Veblen (1994). But there are also fashions in product styles other than clothing; these include music, furniture, housing, automobiles and, of particular importance here, in digital artifacts. Digital technology and devices are traditionally associated with functionality and utility of needs, whereas fashion deals more with symbolic, aesthetic, and cultural meanings, as well as our emotional needs as individual and social beings. According to Kawamura (2005), “fashion is the non-material dimension of modern culture” (p. 95), and it can be used as a conceptual tool to understand the nature of the relationship that people have with cultural objects. Modern and postmodern fashion theorists and social scientists offer theoretical support for integrating notions of aesthetics, creativity, identity and technology with respect to fashion (Ahuvia 2005, Barnard 2002, Crane 2000, Fletcher 2008, Kawamura 2005, Seymour 2008). In her book, Consumer Culture: History, Theory, and Politics, Sassatelli (2007) summarizes a variety of social theories of consumption to help characterize the dynamics of fashion. Sassatelli also presents several fashion-related concepts (shown in Table 1) that are useful for understanding some of the qualities typically signaled by fashionable goods, including newness, exclusivity, and originality. Table 1. “Techniques for Identity Construction and Social Distinction through Objects” adapted from Sassatelli (2007). In what follows, we draw attention to three key themes from the literature on social theory of fashion. Fashion doubtless belongs to all the phenomena of neomania, which probably appeared in our civilization with the birth of capitalism: in an entirely institutional manner, the new is a purchased value. But in our society, what is new in Fashion seems to have a well-defined anthropological function, one which derives from its ambiguity: simultaneously unpredictable and systematic, regular, and unknown. (p. 6). Thomas Frank (1997) has explained how businesses capitalize on the appeal of newness by introducing regular product changes. For example, he describes how car manufacturers in the 1940s and 1950s began releasing yearly models with slightly updated appearance so that the previous models would appear out of style. Similarly, Frank describes how the clothing industry capitalized on the emergence of countercultural fashion in menswear during the 1960s and 1970s by constantly introducing wild changes in style. Media scholar Jonathan Sterne (2007) argues that “the computer industry has applied the logic of planned obsolescence to media hardware more thoroughly than any other media industry before it” (p. 22). Sterne distinguishes between stylistic and technological obsolescence, both of which are planned by the computing industry. Moreover, he argues that, based on the myth of Moore’s law, the computing industry has equated technological obsolescence with progress. As a result, consumers have come to accept and expect that computing devices will become quickly obsolete: “The newness of new media is sustained by people continually disposing of the equipment they have in anticipation of something better. The hope is always the next generation will work better, be more stable, be more functional” (p. 23). To return the words of Barthes (1967), changes in technology are “simultaneously unpredictable and systematic, regular, and unknown” (p. 300). Apple’s annual product launches are a good example of this phenomena, as fans of Apple products have come to expect to be surprised by new, innovative designs each year. While the endless pursuit of newness may characterize modern culture, Sassatelli (2007) notes that patina still has a place in modern fashion, as evident in the cyclical popularity of vintage, antique, and retro styles. According to Kawamura (2005), “Holbrook and Dixon (1985, p. 110) define fashion as public consumption through which people communicate to others the image they wish to project” (p. 94). Veblen’s (1994) theory articulates how certain acts of conspicuous consumption and conspicuous waste serve to communicate one’s elevated social position. Sassatelli (2007) explains that, in this way, “a costly object may be sought out precisely because of its high cost, because through displaying it, social actors can visibly demonstrate what Veblen called ‘pecuniary strength’” (p. 66). In addition to demonstrating wealth, Veblen argues that goods are conspicuously consumed in order to associate oneself with a life of leisure: “In this context, what is ‘good taste’ appears to have been associated with displaying distance from work and practicality, and thus whatever appeared to be too ‘economic’ was seen as opposed to the ‘cultured’” (pp. 66-67). In Veblen’s view, the cultivation of a refined aesthetic taste was a means to establish one’s social position, and would require a preference for goods that are the opposite of functional, practical, or economic. Bourdieu (1984) also explores the notion of taste as a marker of social boundaries. According to Kawamura (2005), Bourdieu’s study of fashion practices finds that “the bourgeoisie emphasize aesthetic value, while the working classes make a realistic and functional use of clothing, and they want ‘value for money’ and what will last” (p. 29). Whether or not it is strictly class-based, some individuals have a preference for goods that are functional and economic, and this preference is itself a “taste” that marks a particular lifestyle and set of values. While these arguments focus on issues of class and hierarchy, other theories of consumption (e.g., Douglas & Isherwood, 1996; McCracken, 1990) describe a more complex picture in which fashion does more than signal social position. Consumers also seek to express meanings of taste and identity through style. Kawamura (2005) argues that one’s fashion taste is influenced by one’s historical, cultural, economic and social background. Original styles develop within various groups and subcultures, and even those styles of marginalized groups may eventually become popular fashion. The fashion industry, celebrities, media, advertising, and branding also have influence is determining what is fashionable. While consumers are clearly strongly influenced by their social context, they also have a creative agency in participating in fashion: “Consumption establishes itself as a gratuitous and creative activity inasmuch as people reinterpret and reorganize things they have bought according to a particular style which they are continuously engaged in accomplishing” (Sassatelli, 2007, p. 109). We propose that these three themes of newness versus patina, conspicuous consumption versus functionality, and imitation versus personal style are particularly germane to understanding the relationship between fashion and sustainability in the context of HCI. Social practice theory, as articulated by Reckwitz (2002) is an additional lens that we find useful in studying and conceptualizing fashion. Reckwitz writes that practice theory, like other social theories, is a “sensitizing framework” that “opens up a certain way of seeing and analyzing social phenomena” (p. 259). Its unit of analysis is practice, “a routinized type of behaviour which consists of several elements, interconnected to one another” (p. 249). In contrast to other social theories, practice theory “shifts bodily movements, things, practical knowledge and routine to the centre of its vocabulary” (p. 259). This perspective has several fruitful implications for the study of fashion. First, thinking of fashion as a set of practices sensitizes us to the routine nature of fashion behaviors in everyday life. For example, the routine of dressing oneself in the morning is perhaps one of the most banal and yet important examples of fashion-directed behavior. Importantly, routines include not just bodily actions but also mental activities, as social practices “imply certain routinized ways of understanding the world, of desiring something” (Reckwitz, 2002, p. 251). From this perspective, we can imagine that fashion-oriented desires, such as to acquire specific goods and present oneself in specific ways, are to a large extent routine and learned socially. Second, practice theory helps to foreground the relationship between bodies and things in fashion. Reckwitz (2002) writes that “a social practice is the product of training the body in a certain way: when we learn a practice, we learn to be bodies in a certain way” (p. 251). Objects play an important role in shaping practice in that “they enable and limit certain bodily and mental activities” (p. 253). Thus Reckwitz concludes, “the stable relation between agents (body/ minds) and things within certain practices reproduces the social” (p. 253). This perspective sheds some light on the way in which personal communication devices, such as cell phones, have changed the socially understood meaning of digital technology. 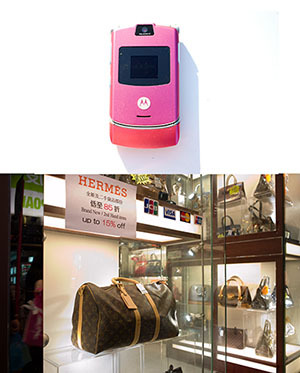 When the practice of carrying cell phones emerged, interactive devices suddenly became publicly visible extensions of the body, similar to other fashion objects, such as clothing, watches, bags, etc. This shift in body-object relationship created a meaning change for interactive technology, a notion that Norman and Verganti (2014) use to describe processes of innovation. Finally, while practice theory foregrounds collective practices over individual motivations, individuality is still conceptualized in an important way. Reckwitz (2002) writes: “As there are diverse social practices and as every agent carries out a multitude of different social practices, the individual is the unique crossing point of practices, of bodily-mental routines” (p. 256). Thus, while the styles and meanings of specific products may be routine and socially learned, each individual creates a unique style through her or his own particular combination of fashion practices. To our knowledge, there are relatively few sources that engage directly with the relationships among design, fashion, and sustainability. One noteworthy example is Walker (2006), who describes both positive and negative effects of fashion-oriented design. On the one hand, he encourages fashion because it promotes vitality, creativity and originality in design; on the other hand, he discourages fashion, given that sometimes it leads to greedy, overutilization of resources and results in immense environmental damage. Given the positive and negative effects of fashion, a critical challenge for interaction designers and researchers is to identify productive strategies for embracing fashion in a way that facilitates sustainable interaction design. In this research project, our goal is to reach an initial understanding about the role of fashion in choosing personal electronic devices. If we can better understand how fashion affects these consumption practices, perhaps we can use fashion as a positive force to alter behaviors in the direction of sustainability. Our method of inquiry for this work is a design research method: that is, we conduct informal interviews, we develop insights, and we propose design speculations. The intent behind our process was to conduct interviews as individual documentary-style case studies, rather as groups or segments from which to generalize. To do this, we collected interviews with 30 individuals ranging in age from their twenties to their sixties. Sixteen study participants were male and fourteen were female. Twenty-one participants were graduate students, five were working in academic areas and four were working for industry. The participant group was diverse with respect to country of origin, but they were not recruited to be geographically representative: three participants were from India, 13 from the Unites States, 12 from China and two were from Korea (in future work, we hope to draw on a broader demographic). their personal definition of fashion. Because the interviews were open-ended, many participants discussed items beyond digital devices, which provided both contrasts and similarities between digital and non-digital things in terms of fashion. For data capture, all interviews were subject to audio recording and field notes. In the data analysis process, all the field notes and audio recordings were reviewed closely. Using Miles and Huberman (1994) as guides to method, we read and re-read the field notes to search for interesting patterns and themes. In order to better organize and compare the results from different interviewees, we used affinity diagramming to create categories and used the resulting categories to form a hierarchy of ideas. These systematic techniques notwithstanding, we still believe that each individual interview stands on its own as a case study that should not be reduced or generalized without caution. In our discussion, we reflect on the implications of these examples for sustainability and design. Some things we consume are short-lived fads—they are transient and cool only for a moment. Other things we consume are enduring and may in fact achieve an heirloom status that makes them last for generations. In general, enduring things are likely to be more sustainable and cause less environmental harm than short-lived ones (Blevis, 2007; Hanks et al., 2008). In our interviews, we found many examples of people preferring new things to old ones; this is especially true of digital things. The pursuit of newness was exemplified by one interviewee, who said that he liked to exchange his old cell phones for new ones at a “third-party store” as frequently as once per month. Within two years, he had owned all of the colors of a particular model of cell phone that were available, and he thought the change made him look cool among his friends. In this example, the participant was able to constantly change his device’s appearance––although not its functionality––in a relatively sustainable manner by exchanging them rather than purchasing new and disposing of the old. When the Motorola K1m first came out in 2006, I purchased one right away. I know how my friends were jealous of me at that time because they see how fashionable I am. In the digital world, K1m was like Louis Vuitton… But no one uses it nowadays, and it has been in my storage for quite a while. This comment suggests that the participant, when purchasing the K1m, had hoped to purchase an enduring object. However, the emergence of radically new phone functionality and design, such as the first iPhone released the following summer, made her phone appear outmoded much earlier than she had expected. The participant commented that now, several years later, the phone is essentially worthless and just waiting to be thrown away. What is interesting is that this participant saw the phone as a fashion object (Figure 1) on par with a Louis Vuitton bag, with appeal and prestige value far beyond functionality. This suggests that consumers may be receptive to the idea of endowing some digital objects with enduring fashion status. This also suggests that designers could take such receptivity into account and design for the sustainability that accrues from making things last longer. Figure 1. Top: Motorola K1m phone, an example of a faddish product as reported by one interviewee. Bottom: Image of a Louis Vuitton Bag, an iconic fashion product. I like to collect old stuff. I like to pick them up from flea markets, thrift stores, garage sales…Because in a lot of stuff you see potential, especially ancient stuff. A lot of people see old stuff as junk, and therefore they just cast it aside, which is fine. But honestly I would rather use things in the trash instead of going to buy what Apple has because we need to use what’s in the trash. Another interviewee collected old metal pieces for use in craft that he produces for sale. Most of the metal was used to make candle sets. He finds satisfaction in producing new value and reducing waste through reuse. You know now there is so much metal that is thrown away, and there is still so much value in them. For metal, it is strong—you can use and reuse it. You add value to it by cutting, melting and combining pieces together. 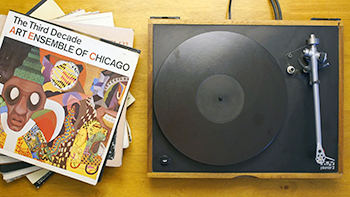 Still other interviewees offered that they collect other old things, such as vinyl records and old audio equipment (Figure 2). Some stated that many people within their social circles had the same taste and were doing the same thing. Figure 2. Old vinyl records and audio equipment, from the interview. In considering the theme of newness versus patina, our interviews suggest a pattern that can be expressed as two pairs of semantic differentials: from old to new and from enduring to short-lived. In Table 2, we chart some of the objects described by study participants according to these dimensions. Although what is plotted in this table is only a sample of what was shared with us, what is interesting is that objects in the new/enduring position did not include anything digital. In fact, we found it hard to think of instances even outside of our interviews that are both new and enduring and digital. This suggests that creating things that are new, enduring and digital is an opportunity space for sustainable design. Table 2. A position map of user objects using two pairs of semantic differentials from the study: from new to old and from enduring to short-lived. One real-world example of something designed to be new, enduring and digital is the Ricoh GXR system, which is a digital camera system that has interchangeable modules for both sensors and lenses. The system is designed to allow the use of old lenses (as old as 80 years or so) with a modern sensor, and to upgrade the sensor as sensor technology develops without discarding the control elements of the camera or the lenses. The choice of lens and sensor combinations also affords the ability to make the camera either smaller and lighter with lower image quality, or larger and heavier with higher image quality. In contrast to the Ricoh camera example are modular computers that, to our knowledge, have been less forthcoming. This point has been made elsewhere in HCI literature on sustainability, but we should continue to make the point until such time as designers consider introducing designs like the GXR in more digital domains. 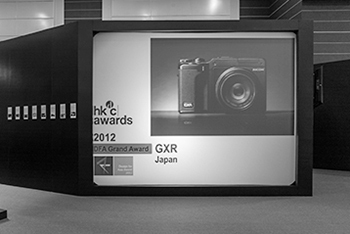 The Ricoh GXR won an HKC design award (Figure 3), but has failed to achieve much traction in the marketplace, as it has been supplanted by another Ricoh product, the GR. Figure 3. The Ricoh GXR wins a design award. In design, the term formal is oftentimes used to refer to the elements of the physical form of a thing. This can be confusing for some computer science-oriented HCI practitioners, for whom the term “formal” typically refers to notions of rigor. To avoid the confusion, we use the term aesthetically-formal and use functional to refer to the functional elements of a thing. In the late 19th and early 20th century, technology devices have mostly been designed and marketed in terms of functional elements more than in terms of aesthetically-formal ones. However, for the past few years, there may be a trend towards more emphasis on aesthetically-formal elements playing a large role in product differentiation. I still remember the days when computer hardware was updated with crazy numbers like 128MB RAM, 256MB RAM, 528MB…Nowadays, it’s like we have 4GB RAM, so what? I really can’t tell how it makes it different when people are most likely to care about surfing the Internet, listening to music and watching video. This means that function has become irrelevant because they are all the same. It is form and aesthetic that people consider more when purchasing digital gadgets. This comment suggests that the computing power that once differentiated one interactive device from another is no longer as significant a factor in determining purchasing behaviors, and is no more significant than the aesthetically-formal look and feel of devices. This circumstance is an opportunity to consider fashion as an important element of the design of digital devices. I remember my friend once told me that she purchased two netbooks last year. One was for her mom, which was an HP Mini Vivienne Tam netbook; and one for herself, which was an Asus Eee PC. She told me that she thought the netbook was very weak and overpriced, and she bought it just because her mother liked the design of it. She believed that her PC was the ‘best’ for its value and it can be upgraded easily. These two different choices of PC reflect different senses of fashion (Figure 4). The Vivienne Tam signifies a distance from the use of a computer for work purposes. The Asus EE PC, symbolizes for its owner the importance of maximizing value in terms of functionality and practicality. In the example of the HP Mini Vivienne Tam netbook, we note with interest that the participant believes that one of the machines—the less designed one—is more upgradeable than the other. This is not true in this particular case, but may owe to other experiences in the marketplace in which it is true (i.e., certain original MP3 players were famously not upgradable). The point here is that, in the interviewee’s mind, fashion in terms of the aesthetically-formal elements and functionality both play a role, depending on context of use. This circumstance is an opportunity for designers to use fashion positively to promote things that are truly upgradeable and made of durable materials combined with thoughtful aesthetics, so as to produce potentially more enduring and sustainable products as a result. Like Rolex or Tiffany, these are statements of luxury good and they keep long. They represent the top of fashion and never get out of date. I would rather spend that amount of money on a piece like that than a cheap product that gets easily broken or becomes outdated. 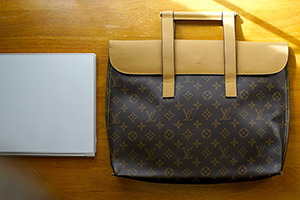 The notions of luxury fashion and conspicuous consumption come together in the example of an interviewee who mentioned that his wife purchased a Louis Vuitton iPad case last year (Figure 5). He stated that she thought it to be the most luxurious accessory for the most desirable gadget of the year. He said that his wife fell in love with the case, which is just a simple sleeve on which has been printed the Louis Vuitton signature monogram. They purchased the case without hesitation, even though the cost was nearly as much as the device it was intended to house. More surprisingly, the participant said that when they bought the case, they didn’t even have an iPad! They stated that they purchased the iPad to fit the case, rather than the case to fit the iPad. Figure 5. Louis Vuitton iPad case. The interviewee’s desire to own the “most luxurious accessory for the most desirable gadget of the year” even before she actually owned the gadget is clearly an act that demonstrates a lack of concern for practicality or functionality. This is even further supported by the fact that the iPad was conceived of as an accessory to the case. Clearly, in this example, the device is valued more for what it signifies than what it does. A few years ago, few people have hybrid car, so when someone had one, it’s big news to others. He became famous. And other people wanted to buy one, since it is represented as fashion… I was thinking of buying a new one, not only because it’s a fashion, but also because it saves energy and [is] good for the environment. While others have noted that high quality is oftentimes a feature of enduring things (Blevis, 2007), another feature that drives people to purchase and maintain a product for a longer period of time is style. Style and quality have always played a role in luxury, but may also have an important role to play in the economy of longevity and so should be taken into account in re-conceptualizing fashion as a catalyst to sustainable design in HCI. I have my HP for four years and it still works fine with me. But I got my new Macbook after I went to graduate school. Because everyone else around me has one and I feel like I (am) behind the trend and kinda being disconnected if I don’t have that. For this individual, the fear of feeling isolated prompted him to purchase a new computer even though his other computer was still working perfectly. I heard too much from my friends or people around me talking about the iPhone that I was almost forced to buy one…I feel like I am behind the trend and kind of being disconnected if I don’t have it. All of my friends around me have an iPhone, and I really don’t want to carry a Blackberry, which makes me feel I look weird and outdated. Again, the mass adoption of the iPhone within these participants’ peer groups has made them feel isolated unless they buy one. While there is nothing wrong with the popularity and social impact of the iPhone, looking back at the now six generations of iPhones and more than ten generations of iPods, it becomes very clear that there are environmentally unsustainable consequences. A computing device company’s continuous re-invention of its own products may lead to the disposal of physical computing devices long before the end of their useful service life. People of different ages may have different responses to exterior influences. For instance, in the fashion world of clothing, teenagers are more likely to take suggestions from their friends and to pursue the same style as people they admire, such as a pop star or a celebrity Adults, however, may tend to develop their own style of dress or may desire to conform so as to look professional, especially during working hours. The consumption of the digital world seems to follow the same trend. In our interviews, participants in their twenties (mostly students), who tended to have more time and less money but were exposed to technology more frequently than people in their fifties or sixties, seemed more subject to interpersonal influences. I consider myself a person with my own taste. I decide what I wear and what I use…. Although everyone around has an iPhone or stuff like that, I don’t, I just don’t fall in the Apple trap…I know exactly what I need and Android can give me all these, that’s why I have it. These quotes indicate that older people may see their purchase choices as reflecting a more socially-independent identity. Specifically, they may believe that they develop their own fashion sense in consumption of both clothing and digital devices; they may believe, too, that they are more immune to social pressure than are younger people; and they may believe that they make purchase decisions based on what they need and like, rather than what other people wear or use. For these individuals, their consumption practices were understood in terms of a personal sense of taste or style. Importantly, personal taste was thought of with pride as being in opposition to the dominant trends of mass culture. Frank (1997) has discussed the ways in which advertising, beginning especially in the 1960s and 1970s, has capitalized on consumers’ desire to act in opposition to the masses and to express themselves as unique individuals. Frank critically points out that the myth of rebellious individuals has been employed as a strategy for accelerated consumption. However, it does seem from these interview excerpts that one’s sense of personal taste can be oriented around a more practical and resourceful form of consumption. Also, the extent to which objects can come to resonate with ones’ values and personal identity may be a cause that inspires one to invest in long-term care and maintenance of possessions, rather always rushing out to buy the latest style. Also in evidence in our interviews, consumers may have an intrinsic desire to own and treasure things that are rare and limited. This is true in both the digital world and in the clothing industry. They may also feel social pressure to own things that everyone else has, especially in the digital domain. Both rarity and popularity are factors that can be taken into account in re-conceptualizing fashion as a catalyst to sustainability in HCI and design. I treasure my iPhone even more after I got this case from my friend. I feel the [iPhone] becomes very unique and special at this point, and I feel proud of having this since there are only five of them in the world… I don’t want to change my phone [to iPhone 4] because this case only fits iPhone 3, and I would love to keep it as long as I can. In this example, the rarity and uniqueness of the case endows it with personal value and pride. Here the novelty of the external aesthetic decoration actually prompts the owner to maintain the device longer, even though the functional technology has been made obsolete by a newer model. This is a provocative and unexpected instance where fashion actually works to slow down, rather than accelerate, consumption. In the preceding section, we organized and presented our interview case studies using three themes—newness versus patina; conspicuous consumption versus functionality; and imitation versus personal style. While these themes provided a useful, neutral classification scheme for our insights, they also serve as productive dimensions to better apply fashion to the practice of interaction design. In this section, we present five additional design implications, inspired and solicited from interview studies and equally intended to link fashion and sustainability. These suggest design opportunities for using fashion in HCI and sustainable HCI. What is the potential role for fashion, as the focus of differentiation moves from function to aesthetics of form? On the one hand, constant changes of form can lead to rapid obsolescence of digital designs, as it does in the design of other industrial objects such as vehicles, clothing and so forth. On the other hand, emphasis on form can lead to the construction of more highly valued and durable materiality if it is done right. For example, the mechanical watches cited by one interviewee are heirloom objects, even though they are functionally not as accurate as watches with quartz movements. Here enduring fashion is a matter of brand, material choices and provenance and many other factors that can make an object last in perceived value beyond its technological obsolescence. Some consumers are driven to pursue fashion and follow trends in order to keep up with social change. In our interviews, we heard that, for some people, to not follow a trend sometimes means feeling out of date and even being disconnected from other people. Recall the participant who felt she was almost forced to buy an iPhone to avoid feeling disconnected from her friends. From this example, we can see how fashion can function as a powerful social pressure to conform. As a result, many people try to keep up with changing social trends by updating or purchasing new things, such as new clothes, fancy bags, new cars, new entertainment devices, new laptops, new cell phones, and so on. However, other findings from the interviews indicate that fashion cycles can turn old interactive products into fashionable items again. For example, the old digital artifacts cited by some interviewees—such as the old music instruments and the old mechanical watches—are heirloom objects, even though they do not offer the high tech functions that new ones can provide. Here, old-fashioned and antique styling make an object desirable again, and thus more enduring in appeal and value. A broader example of this idea is the practice among many people—as evidenced by online sites such as Etsy and eBay—of seeking out old things as even more treasured than new ones. These sites show that vintage artifacts can even hold investment potential, in that they may appreciate over time. The reader can verify this with quick queries on eBay to see that, for example, vintage or old teapots sell for many times more than new ones. This sort of practice ascribes economic value to age, rarity, or provenance, rather than to new materials and artifacts. Examples from our interviews and from the related literature indicate that what constitutes fashion is very personal and diverse, and what is fashionable to one person may not appeal to others. Even more subjectively, fashion may act as a symbol of self-identity that can serve as a representation of one’s personality and of one’s most deeply felt yearning. As we learned from both the interviewee who collected old vinyl records and old music instruments and the interviewee who collected and repurposed old metal pieces, fashion allows individuals to develop a sense of personal and unique values in the object itself that is independent of price, quality or materials. This idea of style has been discussed in the Related Work section and noted that people can endue objects with special meanings and values that are different from others, and so express their aesthetic sensibilities and personal identities. For example, recall that one interviewee stated: “I feel [the iPhone] becomes very unique and special at this point, and I feel proud of having this since there are only five of them in the world.” For her, fashion has a profoundly personal identity that is inherent to that particular object, which enables her to form a deeper connection with the object and, in turn, prevent the object from being thrown away. From this it seems reasonable to draw a further design speculation: designs that go beyond the utilitarian and functional level to achieve self-identification and self-representation can inspire deeper levels of attachment and care. Thus, design that allows users to cultivate a unique sense of style through personalization or the expression of values can be a critical design strategy. Learning from the effects of interpersonal and intrapersonal motivations, fashion may function as social pressure, in effect forcing people to own things that everyone else has. It can be particularly compelling in digital domains to adopt new technologies or new devices. This may lead to premature obsolescence of otherwise adequate technologies or devices, or this could lead to the adoption of newer, cleaner technologies. Therefore, as designers interested in fashion and sustainability, it may be important to recognize the power of using fashion as a positive social force to change attitudes in the long run. Tomlinson (2008) proposed that designers should try to find ways to direct conspicuous consumption toward more sustainable ends. The possibility of making sustainability into popular fashion is also present in comments from our interviewees. Recall that one participant said, “All of my friends around me have an iPhone, and I really don’t want to carry a Blackberry, which makes me look weird and outdated.” This comment illustrates that social pressure to adopt new technologies is sometimes compelling and may lead to premature retirement of adequate technologies. However, it can also lead to the adoption of newer, cleaner technologies, as illustrated by another participant’s quote: “A few years ago, few people had a hybrid car, so when someone got one, it’s big news to others. He became famous.” The actual environmental effects of replacing older, less clean technologies with newer, cleaner ones is a complex equation—selling an existing vehicle to buy a hybrid car may or may not be environmentally sensible depending on the individual factors. Nonetheless, the social forces in play are what should be noted as an input to any design decision that targets the role of fashion in sustainability. As an example outside of our interviews, consider that nowadays one sometimes hears arguments that attending to environmental issues may come at the expense of business opportunities. This was once argued about the economic effects of discouraging smoking and, although it took a long time, smoking is now less popular in many countries as a matter of both fashion and public health. One might note that tobacco companies still exist and have adapted by finding markets in other countries. While this is a serious issue in and of itself, the point is that it was once difficult to imagine that smoking could become unpopular in high-volume markets, and yet it did. Similarly, as designers interested in fashion and sustainability, it may be important to recognize the power of linking fashion to issues of public health and the environment in order to change attitudes over the long term. To better understand the potential role of fashion in HCI design, we conducted 30 interviews with individuals of varying backgrounds to learn how fashion influences their consumption decisions, especially consumption of digital things. Based on these interviews, we created an inventory of factors to better understand the role of fashion in consumption attitudes and behaviors. We also introduced several additional design speculations, as well as possible future directions, for researching and designing with fashion to promote sustainability. Our findings have convinced us of the potential value of studying fashion in relation to sustainability. So, what can we do next? First, we see it as necessary for the field to explicitly recognize fashion-oriented research as a significant part of Sustainable Interaction Design. Adopting a term, such as fashion thinking in SID, can be a useful way to promote fashion thinking as a lens or perspective on sustainability and HCI, as a complement to the many other perspectives our field already embraces. Second, we are convinced that it is possible to utilize the visual and aesthetics competencies of fashion to enhance a digital product’s enduring value. Our findings indicate that fashion is a factor in the differentiation of digital products, both in terms of consumer demand and the design and implementation goals of manufacturers. It is possible and informative to use fashion as a driver of brand, material choices, styles and many other factors to make an object’s value last long beyond its conventional obsolescence. Third, it is possible to use fashion as a way of thinking to inform sustainable design. Our interviews show that fashion is implicated in personal identity and helps people to express their personal tastes, personalities and lifestyles. Similarly, fashion also endues product owners with a profound identity that enables them to form a deeper connection with objects. For example, one interviewee cherished her iPhone more after she received the limited-edition iPhone case. Of course, the goals for using fashion as a lens in sustainable interaction design can differ. They can support aspects related to personal identity (such as cultural or contextual aspects), as well as persuasive purposes (such as deeper attachment, care, longevity of use). For the HCI designer, developing a sensibility about the power of fashion can help make sustainable design intentions and choices more visible, and therefore more convincing and considerate. Even though our work shows that existing theory provides a good foundation for understanding the potential role of fashion in sustainable design, more research is needed to reach a concrete and comprehensive definition of fashion that is suitable and usable for the Sustainable Interaction Design context. There is a need for more empirical research with the aim to find out how fashion already influences Sustainable Interaction Design. There is a need for more critical examinations of the consequences that fashion has on the design of sustainability-related products and services in relation to the individual user, organizational goals and the common good. More research is needed to identify possible ways of including fashion thinking in Sustainable HCI research and practice. This paper aims to fulfill the need for contextualizing and interpreting the complexity of fashion within the HCI domain. The related work, fashion factors, and design speculations above are the first output of this work. We hope to collect many more interviews and to refine and introduce more design insights and implications that can prompt the use of fashion as a force for sustainable design. Moreover, we hope that this topic of this paper is not in and of itself a fad. That is, we hope that the idea of looking closely at individuals, understanding individual motivations in terms of fashion, and generating design implications that enable sustainable design can be an ongoing genre of contribution to HCI—one to which others can contribute and to which we ourselves can continue to contribute. Ahuvia, A. C. 2005. Beyond the Extended Self: Loved Objects and Consumers’ Identity Narratives. Journal of Consumer Research 32(1): 171–184. Bardzell, J. (2009). Interaction criticism and aesthetics. In Proceedings of the SIGCHI Conference on Human Factors in Computing Systems (pp. 2357-2366). New York, NY: ACM. Bardzell, J., Pace, T. & Terrell, J. (2010). Virtual fashion and avatar design: A survey of consumers and designers. In Proceedings of the 6th Nordic Conference on Human-Computer Interaction: Extending Boundaries (pp. 599-602). New York, NY: ACM. Barnard, M. 2002. Fashion As Communication. Psychology Press. Barthes, R. (1967). The fashion system. New York, NY: Hill and Wang. Black, S., & Eckert, C. (2009). Developing considerate design: Meeting individual fashion and clothing needs within a framework of sustainability. In F. T. Piller & M. M. Tseng (Eds. ), A handbook of research in mass customization and personalization: Volume 1: Strategies and concepts (pp. 813-832). London, UK: World Scientific Press. Blevis, E. (2007). Sustainable interaction design: Invention & disposal, renewal & reuse. In Proceedings of the SIGCHI Conference on Human Factors in Computing Systems (pp. 503-512). New York, NY: ACM. Blevis, E., Makice, K., Odom, W., Roedl, D., Beck, C., Blevis, S., & Ashok, A. (2007). Luxury & new luxury, quality & equality. In Proceedings of the Conference on Designing Pleasurable Products and Interfaces (pp. 296-311). New York, NY: ACM. Blevis, E. & Stolterman, E. (2007). Ensoulment and Sustainable Interaction Design. In Poggenpohl, S. (Ed.). Proceedings of International Association of Design Research Societies Conference IASDR 2007. Hong Kong: The Hong Kong Polytechnic University School of Design. 23 pages. ISBN 988-99101-4-4. Blevis, E., & Stolterman, E. (2009). Feature: Transcending disciplinary boundaries in interaction design. Interactions, 16(5), 48-51. Crane, D. 2000. Fashion and Its Social Agendas: Class, Gender, and Identity in Clothing. University Of Chicago Press. Dillahunt, T., & Mankoff, J. (2011). In the dark, out in the cold. XRDS, 17(4), 39-41. DiSalvo, C., Sengers, P., & Brynjarsdottir, H. (2010). Mapping the landscape of sustainable HCI. In Proceedings of the 28th International Conference on Human Factors in Computing Systems (pp. 1975-1984). New York, NY: ACM. Douglas, M., & Isherwood, B. C. (1996). The world of goods: Towards an anthropology of consumption (2nd ed.). London, UK: Routledge. Fletcher, K. 2008. Sustainable Fashion and Textiles: Design Journeys. Earthscan. Fortunati, L. (2005). Mobile phones and fashion in post-modernity. Telektronikk, 101, 35-48. Frank, T. (1997). The conquest of cool: Business culture, counterculture, and the rise of hip consumerism. Chicago, IL: University of Chicago Press. Froehlich, J., Findlater, L., & Landay, J. (2010). The design of eco-feedback technology. In Proceedings of the SIGCHI Conference on Human Factors in Computing Systems (pp. 1999-2008). New York, NY: ACM. Hallnäs, L., & Redström, J. (2002). From use to presence: on the expressions and aesthetics of everyday computational things. ACM Transactions on Computer-Human Interaction, 9(2), 106-24. Hanks, K., Odom, W., Roedl, D., & Blevis, E. (2008). Sustainable millennials: Attitudes towards sustainability and the material effects of interactive technologies In Proceedings of the 26th SIGCHI Conference on Human Factors in Computing Systems (pp. 333-342). New York, NY: ACM. He, H. A., Greenberg, S., & Huang, E. M. (2010). One size does not fit all: Applying the trans-theoretical model to energy feedback technology design. In Proceedings of the 28th SIGCHI Conference on Human Factors in Computing Systems (pp. 927-936). New York, NY: ACM. Heath, J., & Potter, A. (2004). Nation of rebels: Why counterculture became consumer culture. New York, NY: HarperBusiness. Holbrook, M. B., & Dixon, G. (1985). Mapping the market for fashion: Complementarity in consumer preferences. In M. R. Solomon (ed. ), The psychology of fashion (pp. 106-126), Lexington, MA: Lexington Books. Holmes, T. (2007). Eco-visualization: Combining art and technology to reduce energy consumption. In Proceedings of the 6th ACM Conference on Creativity & Cognition (pp. 153-162). New York, NY: ACM. Huang, M. E., & Truong, N. K. (2008). Breaking the disposable technology paradigm: Opportunities for sustainable interaction design for mobile phones. In Proceedings of the SIGCHI Conference on Human Factors in Computing Systems (pp. 323-332). New York, NY: ACM. Huang, M. E. (2011). Building outwards from sustainable HCI. Interactions, 18(3), 14-17. Huh, J., Nam, K., & Sharma, N. (2010). Finding the lost treasure: Understanding reuse of used computing devices. In Proceedings of the SIGCHI Conference on Human Factors in Computing Systems (pp. 1875-1878). New York, NY: ACM. Jang, E.-Y. (2006). An analysis on cases of fashion collaboration strategy. Journal of Fashion Business, 10(6), 110-121. Oskar, J., & Yanqing, Z. (2011). Unpacking social interaction that make us adore: On the aesthetics of mobile phones as fashion items. In Proceedings of the 13th International Conference on Human Computer Interaction with Mobile Devices and Service (pp. 241-250), New York, NY: ACM. Jung, H., Bardzell, S., Blevis, E., Pierce, J., & Stolterman, E. (2011). How deep is your love: Deep narratives of ensoulment and heirloom status. International Journal of Design, 5(1), 59-71. Katz, J. E., & Sugiyama, S. (2006). Mobile phones as fashion statements: Evidence from student surveys in the US and Japan. New Media & Society, 8(2), 321-337. Kawamura, Y. (2005). Fashion-ology: An introduction to fashion studies. New York, NY: Berg. McCracken, G. D. (1990). Culture and consumption: New approaches to the symbolic character of consumer goods and activities. Bloomington, IN: Indiana University Press. Miles, M. B., & Huberman, A. M. (1994). Qualitative data analysis: A expanded sourcebook (2nd ed.). Thousand Oaks, CA: Sage Publications. Nelson, H. G., & Stolterman, E. (2000). The case for design: Creating a culture of intention. Educational Technology, 40(6), 29-35. Norman, D. A., & Verganti, R. (2014). Incremental and radical innovation: Design research versus technology and meaning change. Design Issues, 30(1), 78-96. Odom, W., Pierce, J., Stolterman, E., & Blevis, E. (2009). Understanding why we preserve some things and discard others in the context of interaction design. In Proceedings of the SIGCHI Conference on Human Factors in Computing Systems (pp. 1053-1062). New York, NY: ACM. Pan, Y., Roedl, D., Blevis, E., & Thomas, J. C. (2012). Re-conceptualizing fashion in sustainable HCI. In Proceedings of the Conference on Designing Interactive Systems Conference (pp. 813-815). New York, NY: ACM. Rieger, B. (2008). Is fashion a stronger motivator than Functionality? In Proceedings of Mobile User Experience conference. London, UK. Petersen, M. G., Hallnäs L., & Jacob, R. J. K. (2008). Introduction to special issue on the aesthetics of interaction. ACM Transactions on Computer-Human Interaction, 15(4), Article 14. Pierce, J., & Paulos, E. (2011). Second-hand interactions: Investigating reacquisition and dispossession practices around domestic objects. In Proceedings of the SIGCHI Conference on Human Factors in Computing Systems (pp. 2385-2394). New York, NY: ACM. Quinn, B. (2010). Textile futures: Fashion, design and technology. Oxford, UK: Berg. Quinn, J. M., & Tran, T. Q. (2010). Attractive phones don’t have to work better: Independent effects of attractiveness, effectiveness, and efficiency on perceived usability. In Proceedings of the SIGCHI Conference on Human Factors in Computing Systems (pp. 353-362). New York, NY: ACM. Reckwitz, A. (2002). Toward a theory of social practices: A development in culturalist theorizing. European Journal of Social Theory, 5(2), 243-263. Riesbeck, C. K., & Schank, R. C. (1989). Inside case-based reasoning. Hillsdale, NJ: Lawrence Erlbaum Associates. Rodgers, J., Bartram, L., & Woodbury, R. (2010). Challenges in sustainable human-home interaction. XRDS, 17(4), 42-46. Rosner, D. K., & Ryokai, K. (2009). Reflections on craft: Probing the creative process of everyday knitters. In Proceedings of the 7th ACM Conference on Creativity & Cognition (pp. 195-204). New York, NY: ACM. Sassatelli, R. (2007). Consumer culture: History, theory and politics (1st ed.). Los Angeles, CA: Sage. Seymour, S. (2008). Fashionable technology: The intersection of design, dashion, science, and technology. Vienna, AT: Springer. Simmel, G. (1957). Fashion. The American Journal of Sociology, 62(6), 541-558. Strauss, A., & Corbin, J. (1990). Basics of qualitative research: Grounded theory procedures and techniques (2nd ed.). Thousand Oaks, CA: Sage. Sterne, J. (2007). Out with the trash: On the future of new media. In C. R. AcLand (Ed. ), Residual media (pp.16-31), London, UK: University of Minnesota Press. Tomlinson, B. (2008). Sustainably ours: A call for pro-environmental conspicuous consumption in the online world. Interactions, 15(6), 42-45. Verbeek, P. (2005). What things do: Philosophical reflections on technology, agency, and design. Pennsylvania, PA: The Pennsylvania State University Press. Wakkary, R., & Tanenbaum, K. (2009). A sustainable identity: The creativity of an everyday designer. In Proceedings of the SIGCHI Conference on Human Factors in Computing Systems (pp. 265-374). New York, NY: ACM. Walker, S. (2006). Sustainable by design: Explorations in theory and practice. Sterling, VA: Earthscan. Wilson, E. (2003). Adorned in dreams: Fashion and modernity. New York, NY: Tauris. Woodruff, A., Hasbrouck, J., & Augustin, S. (2008). A bright green perspective on sustainable choices. In Proceedings of the SIGCHI Conference on Human Factors in Computing Systems (pp. 313-322). New York, NY: ACM.